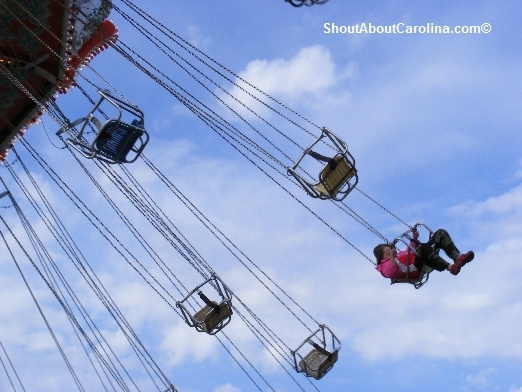 Sparkleberry Fair is the best spring festival in the Midlands. 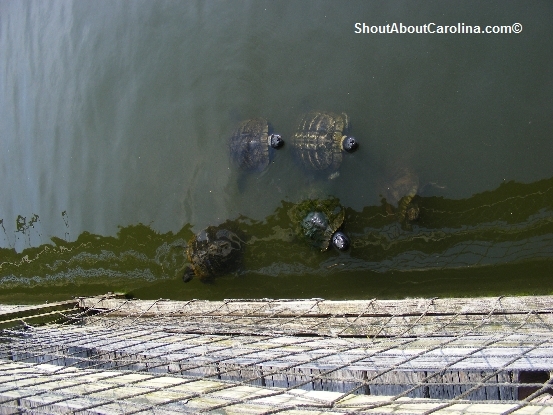 It is held every year the last weekend in April near Sandhills Village and Carolina Children’s Garden in northeast Columbia. Parking is $5, rides are $3-$5 (unlimited rides stamp is $25, excludes bungee jumping and water balls), food items are $4-6, while the petting zoo and most arts and crafts activities are free. 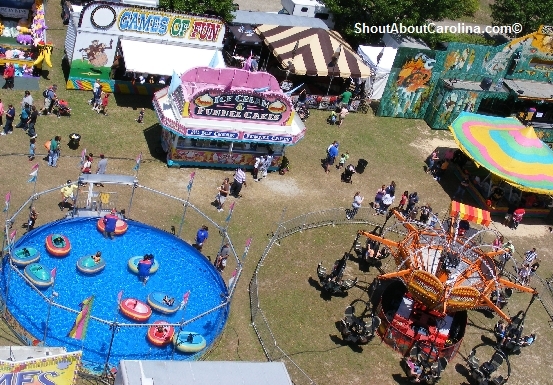 A bird’s eye view of the Sparkleberry Fair from the ferris wheel. My daughter really loved riding on the big wheel. 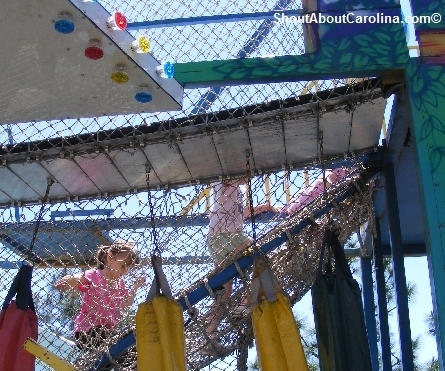 Kids can test their climbing skills inside the Monkey Maze. There were also many different theme fun houses to play in. 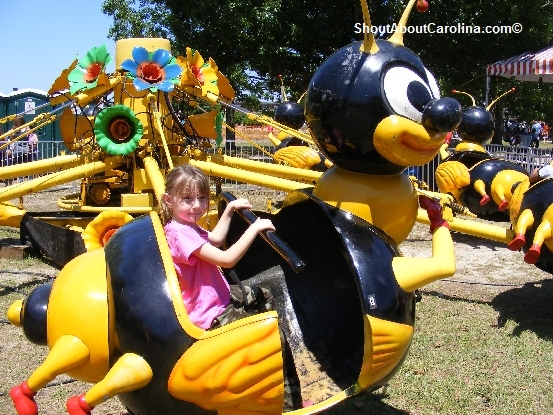 The bumble bee was a very popular ride with the little kids. 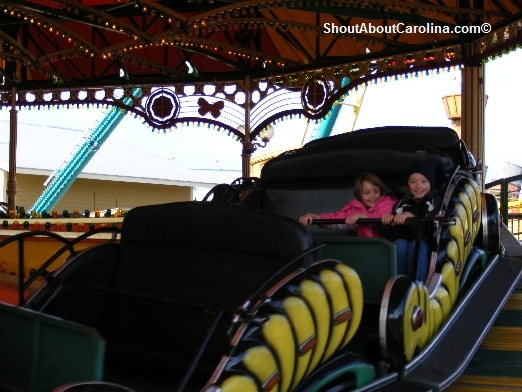 The highlight of the day for young children: the caterpillar roller coaster! 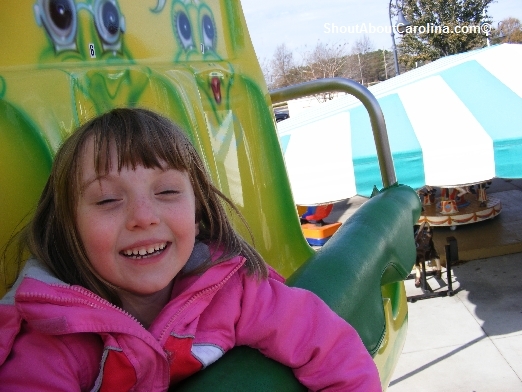 All aboard the caterpillar roller coaster! 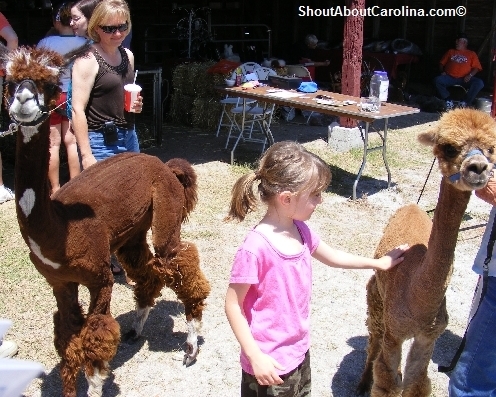 My favorite attraction was the farm, filled with classic pettig zoo animals like the bunnies, goats, cows, sheep, pigs, donkey, turkey and chickens and a surprising variety of more exotic animals: alpacas, lama, buffalo, giraffe, zebra, yak, and camel. Pet the baby alpaca! 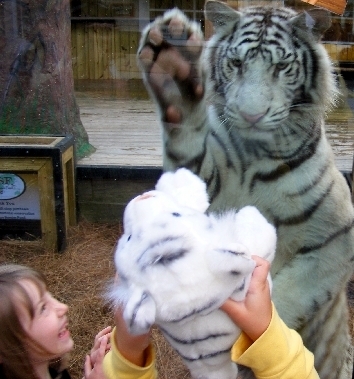 Where else can you see, touch and even ride wild animals? 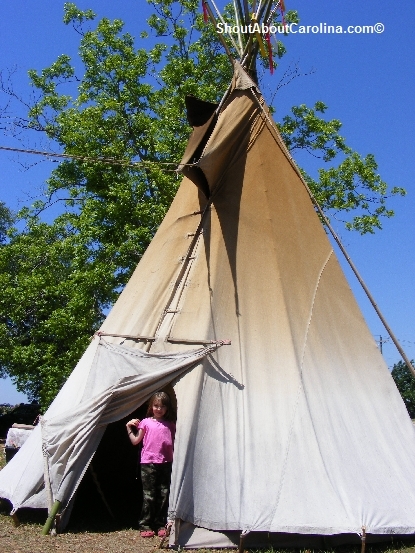 The Native American exhibit featured live hunting demonstration, bow and arrow shooting lesson, traditional face painting, open fire cooking, a huge tepee, storytelling, singing and arts and crafts souvenirs. 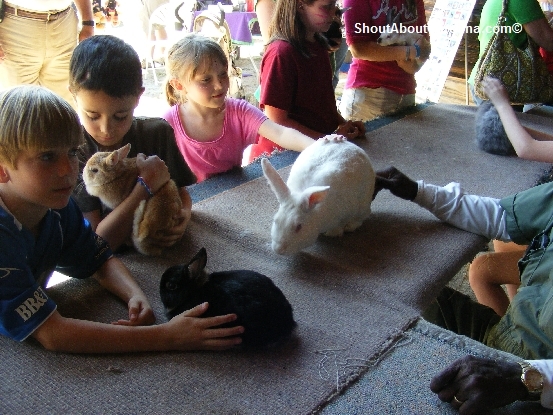 The Sparkleberry Fair has something fun for everyone! 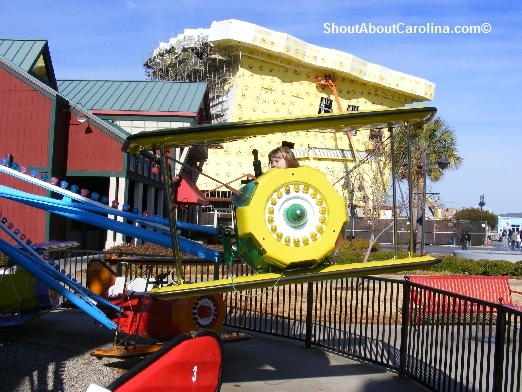 Barefoot Landing in North Myrtle Beach has lots of exciting things to do for children. 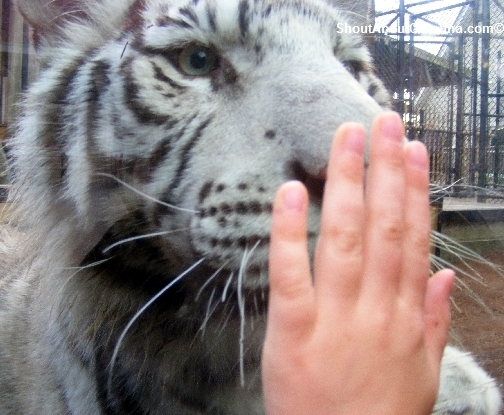 Here you can see up close and even interact with some of the rarest tigers in the world: Royal Bengal, Amur, Siberian and Golden Tabby tigers. For free you can watch and photograph adorable tiger cubs play in a relaxing uncaged environment. 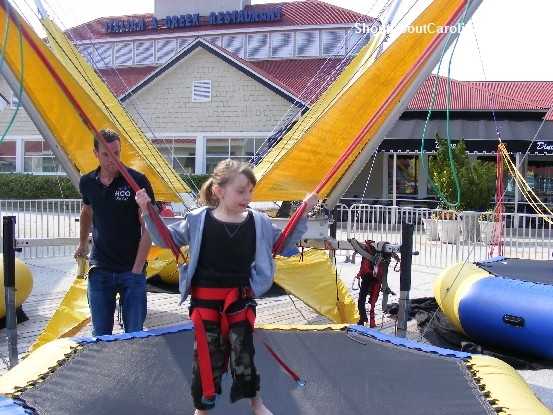 Jump, kick, flip and goof around on the mini “slingshot” trampoline ($9 per session), located in front of Dino’s restaurant. 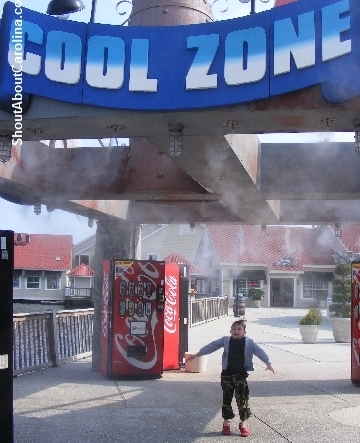 Dare to enter the mind-boggling Mirror Maze ($7.99 all day pass, $1 off coupon available). 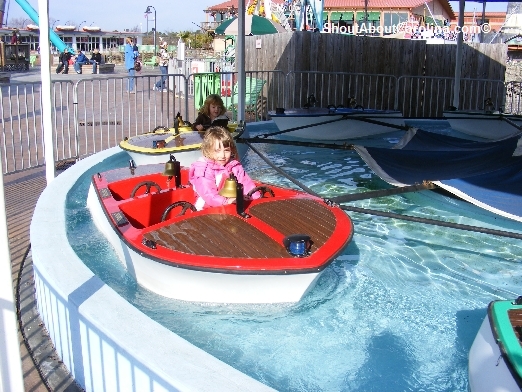 Very young kids can ride the historic carousel ($2 per ride). 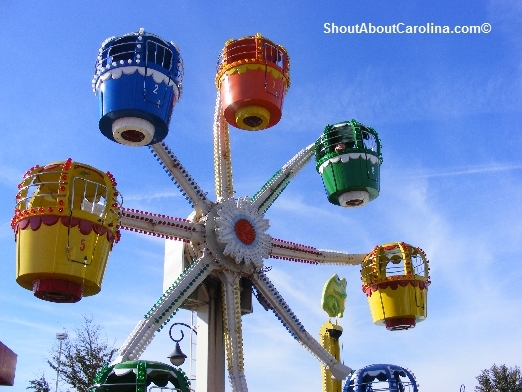 Fun is divine in North Myrtle Beach! 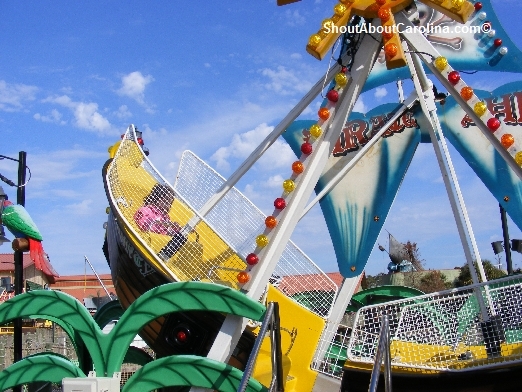 The Pavilion Nostalgia Amusement Park at Broadway at the Beach offers fun rides for the entire family. 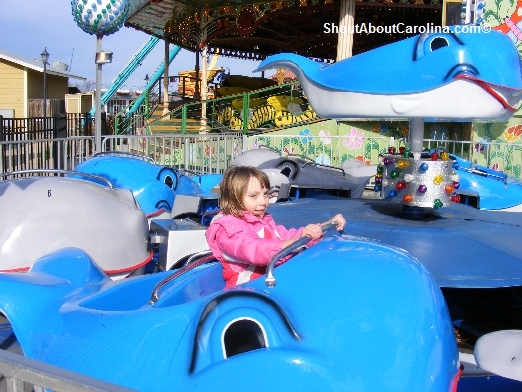 This post features the year around rides, located behind Ripley’s Aquarium. There is another group of rides geared for younger kids, on the other side of the walkway, next to WonderWorks’ “Soar and Explore” zipline and ropes challenge course. 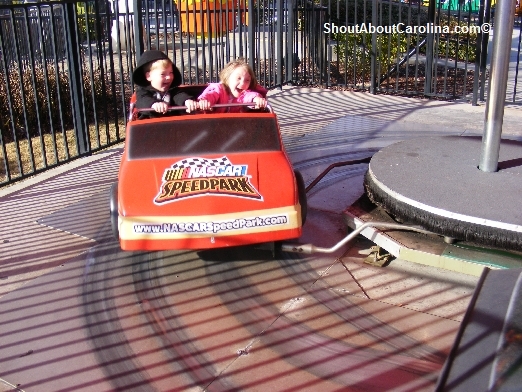 Every ride is $3 + tax. You’re better off buying in bulk (i.e. 9 rides for $20 + tax). 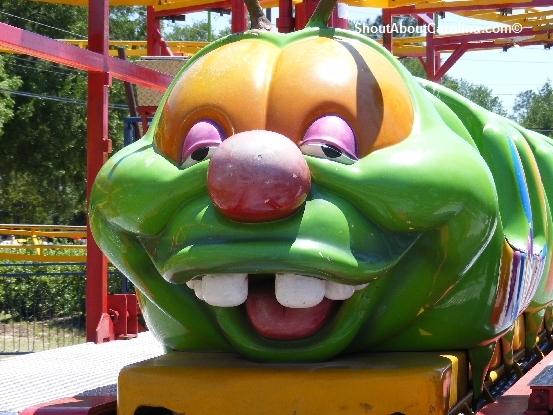 All rides open at 12PM and run till dusk. 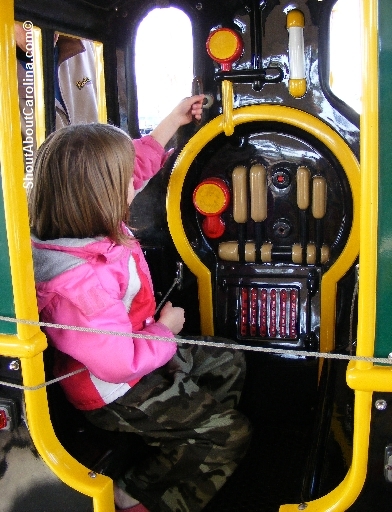 My daughter’s favorite ride! 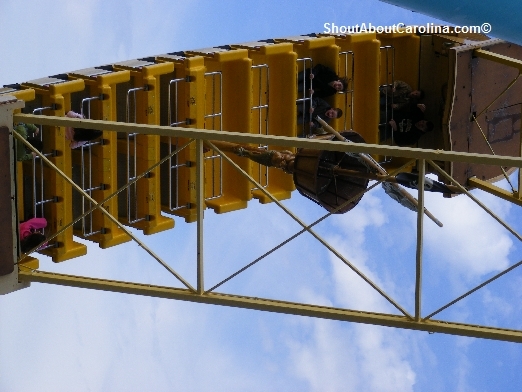 She did 3 times in a row (keep in mind it travels super fast forward and backwards)…I’m surprised she didn’t get sick! 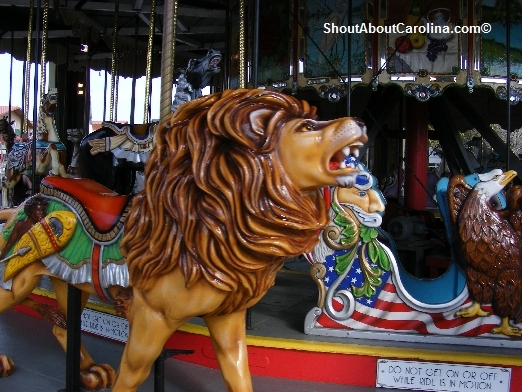 The 1912 Herschell Spillman carousels one of the world’s few originals still operating. It’s elaborate design features hand-painted lions, zebras, ostriches, frogs and horses. 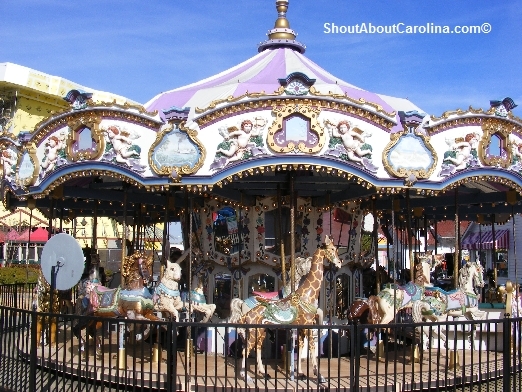 1912 Herschell Spillman carousel, one of the oldest in the country and few remaining in the world. 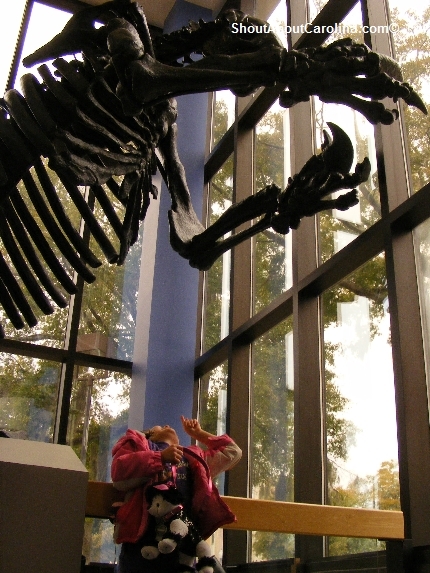 If you can’t handle the giant one, hop on the kiddie version…hey, not everyone is Jack Sparrow! Arrrgh! 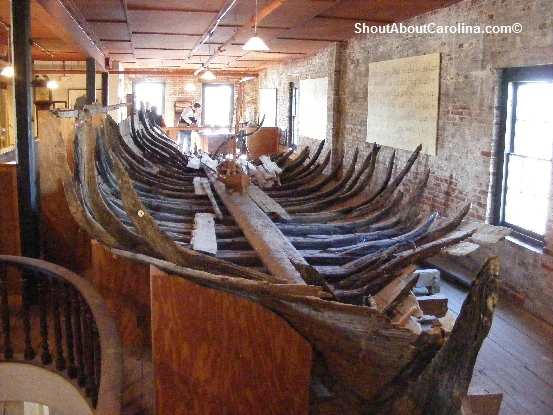 Ahoy mates, welcome aboard! 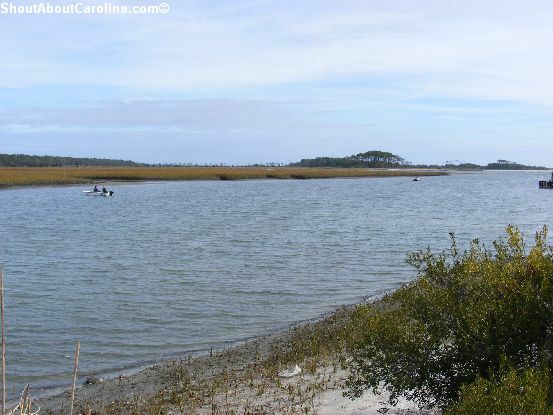 Here are more fun and affordable kids activities in the area as well as printable coupons to the best Myrtle Beach attractions. 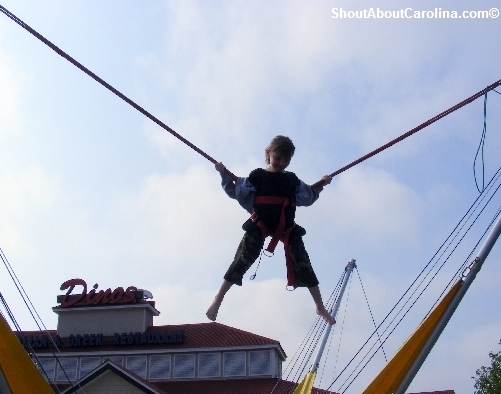 The fun is devine in Myrtle Beach!